The Home Built Boat Regatta folks are planning what sounds like a jolly river trip. 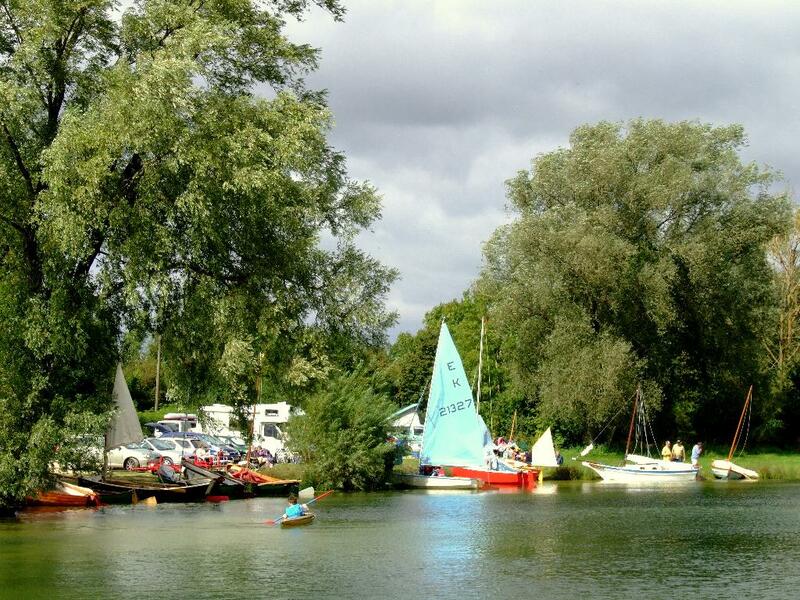 It starts at Lechlade on the 1st June with the aim of arriving at Beale Park, Pangbourne, on the evening before this year’s Beale Park Thames Boat Show. In keeping with the HBBR’s traditions, the Lechlad Raid is not an organised event but a cruise of individuals in company who welcome all who wish to join them, but ask that all boats and crews are up to the trip. Each individual is responsible for ensuring their own liabilities are covered and for making their own arrangements for over-nighting during the journey. There will be no formal safety cover. From what I understand, the start time on the 1st is unclear, but more information will doubtles emerge and will be posted at the HBBR website events page. Some readers may be interested to hear that by chance the Trailer Section of the Old Gaffer Association is also having a meet at Lechlade on the weekend of the 30-31st May, and that it will be happy to see Lechlade Raiders who decide to arrive early to join them. The OGA folks have organised camping in a field behind the pub, and this is likely to cost about a tenner. Another piece of news concerns the Water Craft magazine amateur boatbuilding competition, which is judged at the Beale Park Thames Boat Show each year. After some discussions with HBBR members, editor Pete Greenfield has decided to change the format in the light of complaints that the high standard of craftsmanship of some of the entries tends to discourage rather than encourage many amateur boatbuilders. So this year there will be three equal prizes of £80-worth of Water Craft books for: The Home-Made Boat Which Offers Most Encouragement To Beginners, The Most Innovative Home-Made Boat and, because we don’t want to stop encouraging amateur craftsmen and craftswomen, The Most Professional- Looking Home-Made Boat. Now it’s time to find some pictures of your home-built wooden boat, write a few words to describe her, add your contact details and send it no later than 17 April, either by email to: ed@watercraft- magazine. com or by post to: Amateur Boatbuilding Awards 2009, Water Craft, Bridge Shop, Gweek, Cornwall TR12 6UD. All entrants who bring their boats to the show will also receive £50-worth of vouchers. You don’t have to pre-register to participate in the Raid, though it would be kind to let the HBBR folks know you’re coming, but you must send entries for the competition to Water Craft by the the 17 April deadline in order to take part in the competition – for insurance reasons, you can’t just turn up on the day, by water or by road. Be aware, also, that you must be a real amateur, and that boats built from pre-cut kits are not allowed to enter. For previous intheboatshed.net posts featuring the HBBR, click here. I won’t be able to join the HBBR folks once again dur to family reasons, but if anyone reading this fancies the trip and would like to build a simple and easily constructed rowing boat for the purpose, may I modestly suggest my Julie skiff plans? I will be pleased to help out with modification to make it more suitable for overnighting afloat. Previous Previous post: Can anyone help with the history of AH Comben’s Nosila, built by HB Hornby?